Wales head coach Warren Gatland has described Irish players are the most vocal he has came across during his time as a coach. Gatland has gained an insight into how players from England, Ireland and Wales operate having coached in the northern hemisphere over the past 30 years. He coached Connacht before taking over as Irish boss in 1998, was the boss of Wasps for a time and has led the Welsh to two Grand Slam titles. He is on course for a third this season after wins over France, Italy and the dramatic victory over England. The Kiwi has also taken charge of the last two British and Irish Lions Tours. 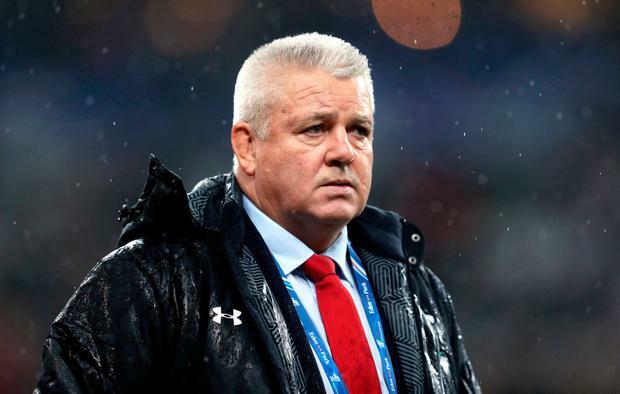 In an interview with New Zealand-based The 1014 Rugby on Youtube, Gatland went through the character traits from all three nations. "The Irish players are the most vocal out of all the players. They ask the most questions, they challenge the most," he said. "People ask 'why is that?'. Well, traditionally in Ireland a lot of the players have come through private schooling so they are pretty well educated and culturally, from that perspective, they are great to deal with. "Their understanding of the game is excellent and they will challenge you, as I say. "The Welsh players are not anywhere near as vocal. They are 'doers'. "You look at how that reflects on society. A lot of the Welsh contribute to the armed forces in the UK because they're doers and they are good at taking instruction and following orders. "That's what I say about the Welsh players, they will run through a brick wall if you ask them. They will work their butts off. They don't mind working hard and they don't question or challenge stuff." "The English players can bring a self-belief and confidence because of where they have come from and history and tradition as well. "Culturally there are those differences."